Licensed to practice in New York and Connecticut, Mr. Filan serves clients throughout the White Plains area and the surrounding communities of Stamford and Greenwich, Connecticut. 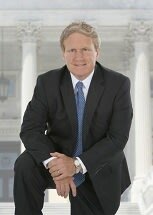 A highly rated attorney, Mr. Filan has recovered over $100 million in settlements and awards on behalf of our clients throughout his career, earning his membership into the Million Dollar Advocates Forum and establishing his reputation as one of the top personal injury attorneys in the region. Regardless of the complexities surrounding your case, you can trust Mr. Filan and our law firm to deliver the personalized attention you deserve while advocating aggressively on behalf of your rights and entitlements. For more information, you can contact the Law Offices of Patrick J. Filan LLC to schedule a consultation.